Is your heating or cooling system raising your energy costs? Call us at (206) 654-4990 and schedule a Mercer Island heating and cooling appointment today! Keeping your heating and cooling system in perfect working order should always be a priority for homeowners in the Mercer Island area. Getting professional solutions is critical when you have issues or problems with your unit. 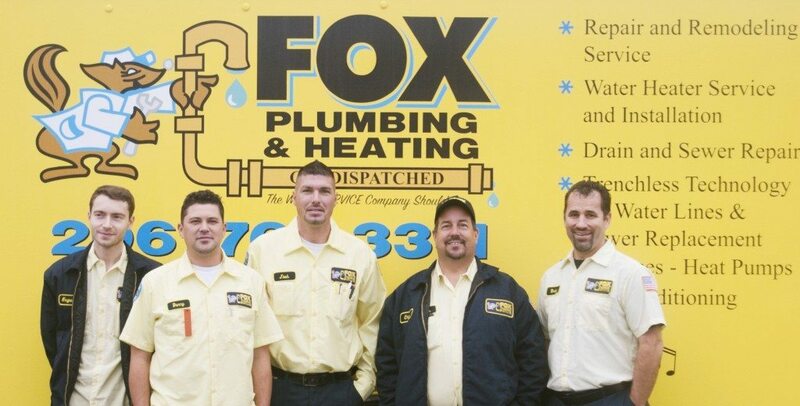 Fox Plumbing & Heating we offer industry leading heating and cooling services. No matter what problem you may be facing, or the model of your heating and cooling system, our experts have the skills needed to help you in no time! Don’t just take our word for it. See what some of our past customers have to say about our services here, and contact us to schedule an appointment for your home needs today! Looking to repair your air conditioner? We understand that it can be costly to replace your air conditioner. Because of this, we try our best to find a repair solution as often as possible. Through our years of experience, we often can find a repair solution that will return your unit to optimal efficiency while remaining cost effective. When constant repairs become the norm, or your unit is beyond repair, replacement will be the only course of action. Our experts can help you choose the best unit for your home and install it professionally. We will ensure that the unit suits the needs of your home as well as your budget. Is your heater failing to heat your home? Without the use of professional service your heater will fail to come on at all. Our technicians can inspect your unit and find the root source of the problem. Once found we will provide you with effective repairs to restore it to working order in no time, keeping you and your family warm all winter long! Are your air ducts filthy or damaged? The ductwork in your home is responsible for transporting air throughout your property. When they are dirty or damaged, it can have a negative impact on your HVAC system and health. Over time dust and other air impurities build up in your ducts. Our experts can provide you with efficient cleaning and repair solutions to remedy these issues once and for all. This will not only improve the quality of your HVAC system but also your general well-being. You can schedule regular cleanings for your home to ensure that you enjoy clean air all year long. When heating and cooling issues get you down, look to our professionals for expert solutions. Call us at (206) 654-4990 to schedule an appointment for your home today, and get the quality Mercer Island heating and cooling services you need!